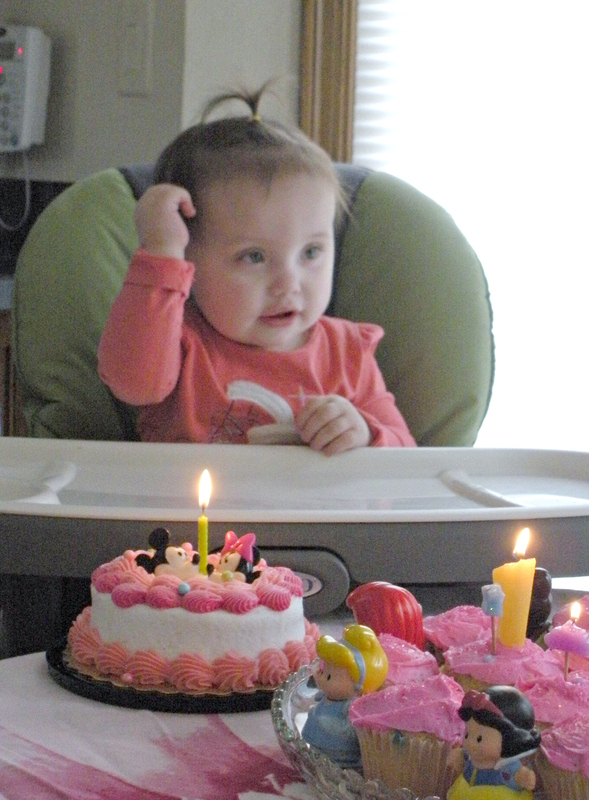 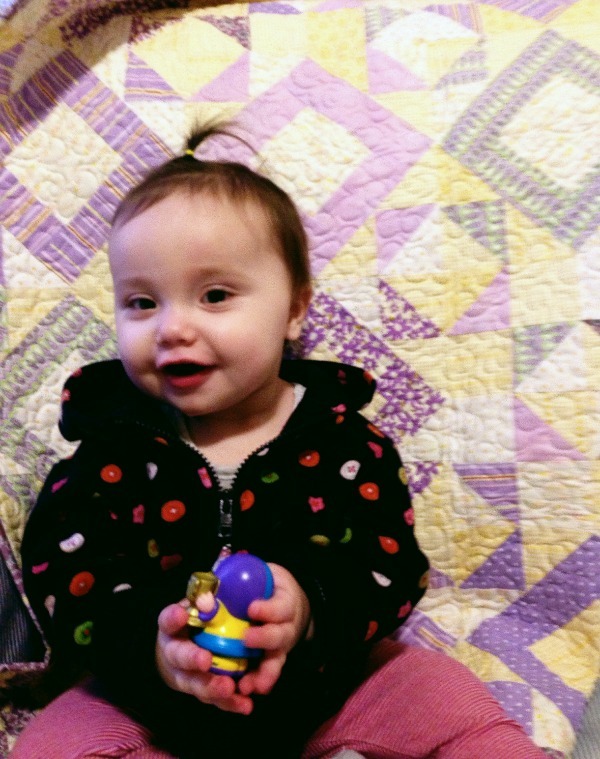 She’s our grandbaby, Gemma. 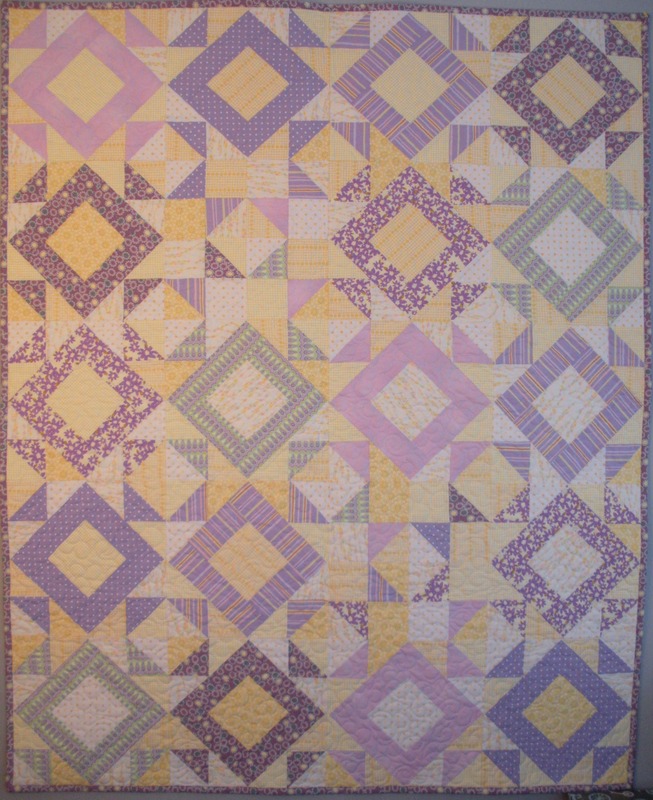 I started a quilt for her a while ago (Hubby and I picked out most of the fabric together before she was born) but I always give myself until the first birthday to finish and gift a baby quilt. 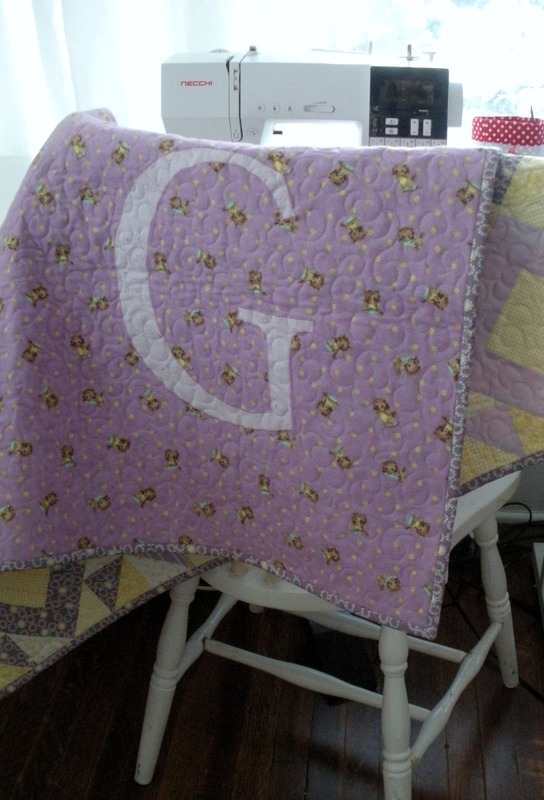 In Gemma’s case, I gifted the quilt to her on her 1st birthday. 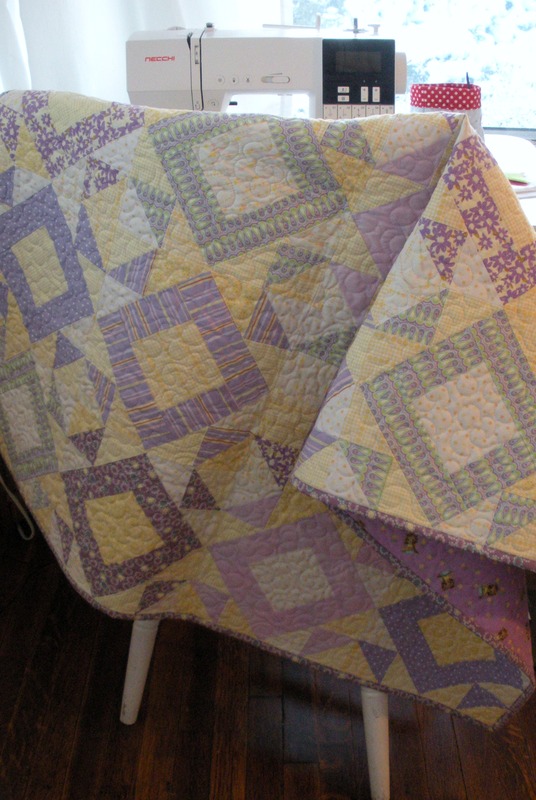 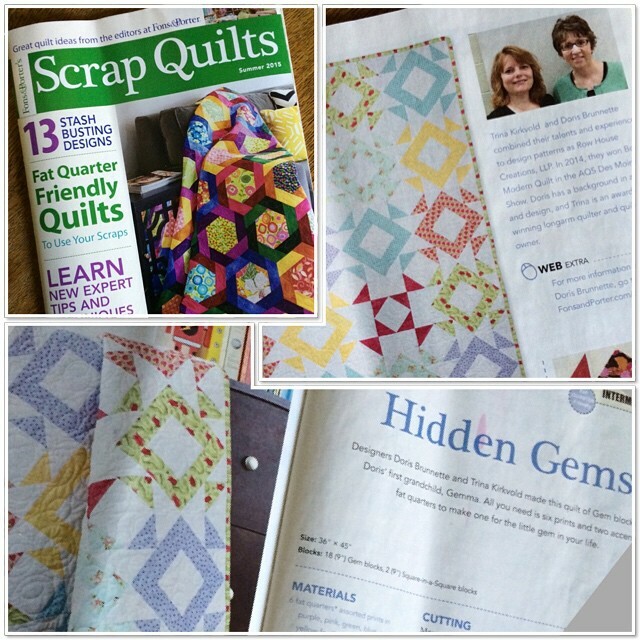 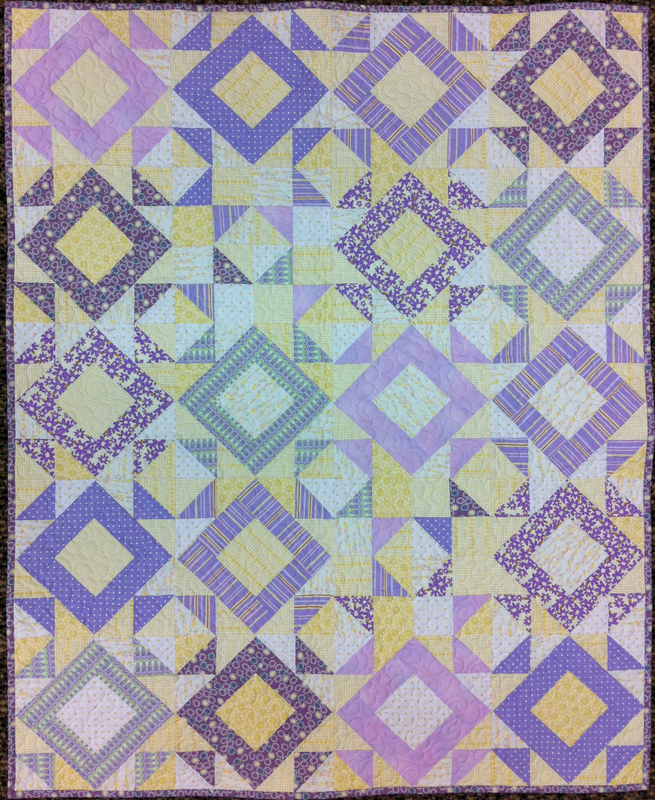 The quilt measures 36″ x 45″, 18 (9″) Gem Blocks and 2 Accent Blocks. 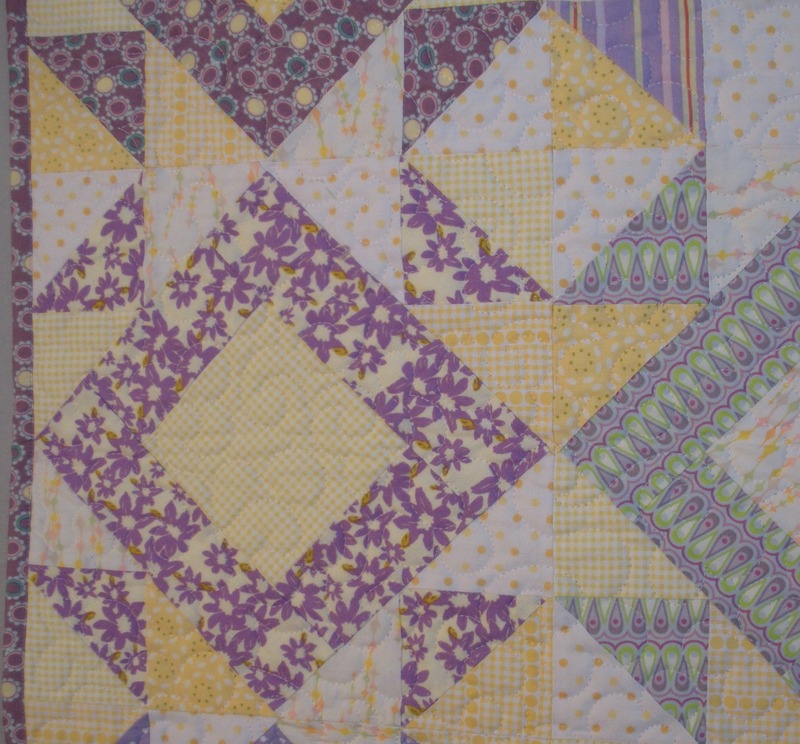 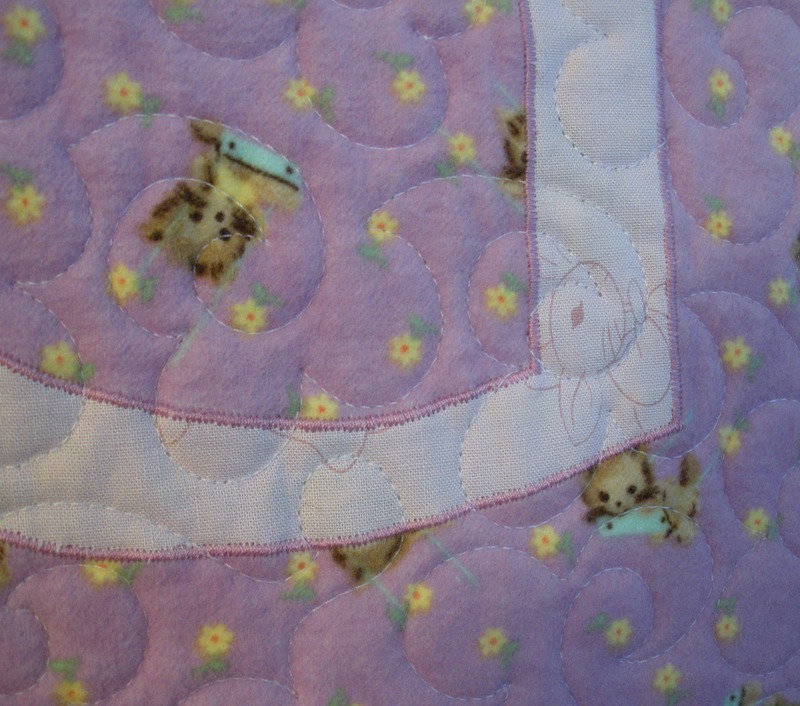 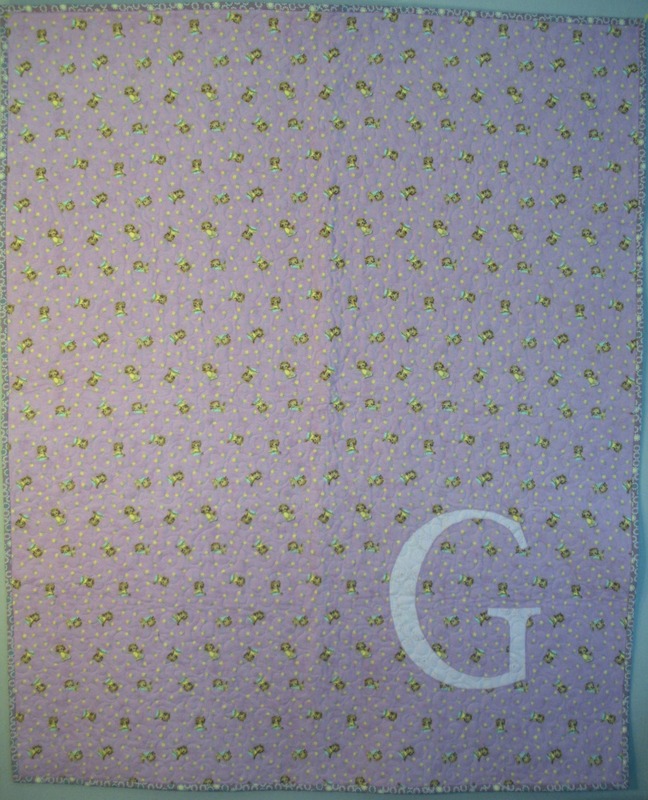 I used six different purples (lavenders) and 5 different yellows on the front, the back is a Moda flannel and the “G” monogram is a tone-on-tone Peter Rabbit print from my stash.